The traditional approach to the management of obesity has been the recommendation to “diet and exercise”, and to elicit the support of family doctors with aims to modify unhealthy lifestyle habits. The limited success of such conventional strategies is clearly apparent in the unabated escalation of global obesity and its wide range of adverse consequences for human health. It is appropriate, therefore, to review current paradigms in respect of nutritional policy, and to evaluate the content of public health messages according to the principles of emerging evidence. A review of the relevant literature suggests that conventional dietary theories do not reflect the consensus findings of critical science regarding nutritional requirements for optimal health. Within this context there is an opportunity for national health bodies to revise the content of public health messages, and to facilitate a paradigm shift in perceptions of “healthy” and “unhealthy” foods, not only for health professionals, but also for the public who are heavily influenced by dietary guidelines and nutritional propaganda. Ireland has an opportunity to establish independent dietary policies based on emerging nutritional data and local health requirements, and to take a lead in the “war” against unhealthy eating habits, as it did in the war against the unhealthy smoking habits of the past. The understandable reservations of many GPs to address lifestyle issues with their patients can be circumvented by a renewed confidence rooted in credible research, and the provision of updated resource material for patients which is innovative, science based and user friendly. The current “war on obesity” is essentially a “war on fats”, as portrayed ad nauseum in the public media and sections of the medical literature which constantly echo the outdated dogma of the AHA. Current health messages consistently and incorrectly portray saturated fats as harmful, and fail to distinguish between these healthy fats, and the potentially unhealthy dietary fats, such as transfats, interesterified fats and industrially produced polyunsaturated fats, which predominate in commercially prepared foods and are widely portrayed as “healthy”. They also fail to distinguish the nutritional differences between simple and complex carbohydrate groups and their variable impact on health within different sub – groups, such as those who are carb-sensitive or have grain allergies. Similarly, distinctions have not been made between “complete proteins” as found in animal and dairy products, and the “incomplete proteins” derived from nuts, seeds and legumes, and the deficiencies of vegetable proteins. A review of the critical evidence will show that these guidelines are more likely to contribute to, rather than prevent, the current escalation of obesity and diabetes and their related consequences. Such diets can hardly be called “prudent”, as defined by the AHA. MyPyramid, despite its marked improvement over previous pyramids, continues to ignore emerging clinical evidence in respect of healthy dietary requirements for fats, proteins and carbohydrates, and harbours deficiencies which renders it an incomplete, and somewhat limited, food guide for health professionals and the public alike. 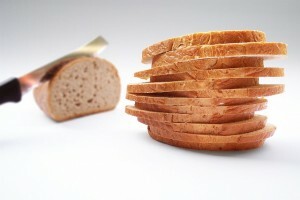 The acknowledged distinctions in MyPyramid between simple and complex carbohydrates are to be welcomed, but the distinctive differences between healthy and unhealthy fats are blurred, while all proteins are treated alike, without recognition being given to the nutritional differences between “complete” animal proteins and “incomplete” vegetable proteins. The anti-fat and anti-cholesterol policies of the AHA continue to dominate the current dietary guidelines, and continue to be embodied within the Pyramid, rendering it an inadequate testimony to the recognised health benefits of saturated fats, which contrast sharply with the ill effects of unsaturated fatty acids. According to its website, the MyPyramid Education Framework “provides specific recommendations for making food choices that will improve the quality of an average American diet”. In reality, the poor quality of the American diet and its adverse health outcomes are universally recognised, prompting pertinent questions about the content and quality of the dietary guidelines that are endorsed by all major health bodies in the USA. Since Irish dietary guidelines are heavily influenced by the USDA model, it is appropriate to evaluate current national guidelines against the backdrop of escalating obesity and diabetes, given the limited success of current interventive strategies. It is disconcerting to note the repeated mantra of the USDA in its recommendations for “lowered intakes of saturated fats, transfats, and cholesterol, and increased intake of fruits and vegetables, and whole grains to decrease risk for several chronic diseases”. By their inclusion of saturated fats with unhealthy transfats in their dietary warnings the authors ignore the findings of critical science that have established saturated fats as healthy and capable of conferring multiple health benefits that are clearly absent from all other types of fat. The guidelines repeatedly recommend “fat free” or “low fat” milk, “low fat” meat, and the use of “vegetable oils rather than tropical oils” because vegetable oils “do not raise LDL (“bad”) cholesterol”. This misleading statement ignores the fact that saturated fatty acids (SFA), more than any other fats, raise beneficial HDL levels and have greater cardio-protective properties. Monounsaturated (MUFAS) and polyunsaturated fats (PUFAS) are recommended in place of saturated fats (SFA) while no reference is made to the potential harm arising from excess PUFAS. The reference to “limited evidence” for the cardiovascular benefits of omega 3 ignores the wealth of evidence that attests their uniquely protective properties at several levels of disease. It states, “ eating food that contains saturated fats raises the level of cholesterol in your blood. High levels of blood cholesterol increase your risk of heart disease or stroke. Be aware too, that many foods high in saturated fat are high in cholesterol which raises your blood cholesterol even higher”. The website then recommends preferable substitutes for saturated fat, such as vegetable oils and vegetable replacements for traditional meat and dairy products. It also recommends the avoidance of tropical oils in favour of vegetable oils. Numerous lines of critical evidence have not only challenged the substance of these recommendations, but have repeatedly demonstrated their failure to support optimum health. National dietary guidelines which echo these principles are similarly culpable, and not only distort, or ignore, the findings of science, but instil in the public mind unwarranted fears, and a conscious preference for foods that are labelled “low fat”, yet lack nutritional value, and carry the potential for health impairment. Tropical oils at worst are atherogenically neutral, and at best can significantly raise HDL levels, lower cholesterol in hypercholesterolaemic people, and confer anti-carcinogenic and anti-microbial benefits, and their exclusion from a diet, partly due to the soybean lobby, is the loss of a highly beneficial functional food. The continued vilification of these important dietary fats undermines the opportunity for consumers to make, and enjoy, healthy food choices, and their avoidance, as a result of widespread scare-mongering, must be viewed as a contributory factor in the current epidemic of chronic ill health. The AHA Guidelines derive from the USDA recommended daily allowance (RDA) of carbohydrates (60%), fats (30%) and protein (10%) with recommendations to limit saturated fats to 7% of daily energy requirements. Clinical outcomes from research trials which have tested these traditional proportions against variable alternatives have demonstrated greater health benefits from those with reduced carbohydrate proportions and increased fat or protein proportions. However, this pyramid continues to promote an unwarranted fear of fats, and calls for a preference of lean meat over animal fats, even though acknowledging that “healthy fats” exist, which it places alongside “healthy carbohydrates”. Dr. Walter Willett, of the Harvard School, gives recognition to these findings and acknowledges that high-fat/ low-carbohydrate diets are good for weight loss, and correctly states that “carbohydrates are not an essential part of the human diet”, and that fuel for the brain can be generated through ketones, from proteins and fats, as an alternative to glucose. While the Harvard School of Public Health perpetuates the dietary dogma of the American Heart Association (AHA), that saturated fats are harmful because “they raise blood cholesterol”, it nevertheless fails to reflect in its literature, the growing awareness that saturated fats improve the anti-atherogenic lipid profile, and enjoys numerous metabolic advantages over carbohydrates and unsaturated fats. The Food and Agriculture Organization of the U.N. (FAO), in conjunction with the World Health Organization (WHO), produced an Expert Consultation Report in 1994 which reflected the policy statements of the AHA that dietary fat consumption was causally linked to obesity, coronary heart disease (CHD) and some cancers. The conventional view which favours dietary fat restriction has become increasingly untenable in the wake of research outcomes which expose the lack of scientific credibility for such recommendations. By so doing they have failed to acknowledge the real culprits and will thus restrict the healthy food sources while promoting those that endanger health. The documented recommendations to limit fats to 33% of intake and saturated fat to one third of these are linked to statements that “saturated fats increase blood cholesterol and should be limited” and that dietary “hydrogenated vegetable oil” indicates the presence of saturated fats in a product. Clearly, this is not factual. Furthermore, polyunsaturated (pufas) and monounsaturated fats (mufas) are recommended as preferences to saturated fats. In other words, dietary saturated fats yield greater health benefits than do either the MUFAS or the PUFAS, and these findings are supported in a growing number of comparative studies. The Kikuyu lived mainly on cereals and had a mortality rate from respiratory disorders 10 times greater than the Masaai whose staple diet was animal meat and blood. The Maasai were found to have normal blood cholesterol levels and did not suffer with obesity or diabetes. North American Indians consumed high levels of saturated fat for centuries and only experienced an epidemic of obesity, diabetes, heart disease and cancer when they abandoned their pemmican diet, consisting of 50% protein (lean meat) and 50% fat. The Eskimos, likewise, enjoyed excellent health while consuming seal meat and seal fat in a proportion of 80% fat and 20% protein. Obesity is not caused by saturated fat ingestion, since dietary fat is a source of energy and does not stimulate insulin secretion, which is a natural response to a high carbohydrate intake. Dietary saturated fats confer additional benefits by inducing a state of satiety, thereby diminishing the need for frequent snacks, a common and inevitable consequence of consuming high carbohydrate meals. Saturated fats predominate in animal fat and tropical oils, and to lesser amounts in vegetable oils, and can also be synthesised from excess dietary carbohydrates. The medium chain fats (MCT) are found in coconut oil, palm kernel oil, and butter, while the longer-chain fats (LCT) occur mainly in meat and dairy products. Studies have shown that amongst their many health benefits saturated fats can increase energy, boost immunity, and optimise healthy digestion and nutrient absorption. Their capacity for weight reduction and cardiovascular protection are becoming increasingly evident in clinical studies. A subtle shift in the scientific consensus regarding fats and their health benefits has occurred since the earlier attacks by the AMA on Dr. Robert Atkins for his promotion of high fat / low carbohydrate diets. Despite the several criticisms levelled against the structure of the Atkins diets, current evidence favours the principle that high-fat / low-carbohydrate diets confer health benefits which are strikingly absent in high – carbohydrate / low fat diets as promoted by the AHA and AMA. Dietary saturated fats do not cause obesity, because, unlike carbohydrates, they are not stored and are readily converted into energy for bodily requirements. The hydrogenated and partially hydrogenated oils which now predominate in processed foods are the real culprits. During the process of fabricating artificial “food” trans-fatty acids are yielded, which by contrast to saturated fatty acids, reduce beneficial HDL levels, raise LDL, increase insulin secretion, and decrease the immune potential by an adverse effect on B cell response and T cell proliferation. The eventual recognition of trans-fats as a health hazard has prompted their mandatory inclusion on food labels as of 2006, but levels below 0.5 grams may be reported as “zero level” in any given product, thereby masking their presence in popular food choices, yet maintaining their potential for toxicity and harm to human health. An unintended accumulation of trans-fats may thus occur in the body through the ingestion of several products which are inaccurately labelled as “zero levels”. The many public health statements that collectively include saturated fats and trans fats in their call for restricted consumption are ill conceived and distortions of fact. These 2 fats are distinctly different from one another in their chemical and physical structure, as well as in their biochemical actions and outcomes for health. Saturated fatty acids are natural fats while trans fats are artificially created fats. Their vast differences should not be blurred by treating them alike. The former will support health. The latter will destroy it. Saturated fatty acids (SFA) are characterised by the absence of double bonds with all carbon bonds occupied by a hydrogen atom. This renders them stable, resistant to oxidation, and thus less likely to form free radicles when heated, as is the case with unsaturated fats. These stable fats predominate in animal fats and tropical oils, like coconut oil, and in smaller amounts in vegetable oils. The body can synthesize saturated fatty acids from excess dietary carbohydrates, if required. They serve a multitude of vital bodily functions and their dietary absence, or restriction, can lead to dire health consequences. The main monounsaturated fatty acid (MSFA) is oleic acid (C18) and is derived from olive oil, sesame oil and a variety of nuts. The body can synthesize these fats from SFA when required. Palmitoleic acid (C16) is a MSFA found almost exclusively in animal fats and has strong anti-microbial properties. Polyunsaturated fatty acids (PUFA) have 2 or more double bonds, are less stable than SFA, and predominate as either linoleic acid (2 double bonds) or linolenic (3 double bonds). TRANSFATS are not natural. They are produced by bombarding PUFAS with hydrogen (partial hydrogenation) thereby giving them a longer shelf life, thus serving as a preferential source for the many commercially prepared spreads on the market. Since food labelling regulations do not require levels below 0.5g to be stipulated on any given product, an unintended accumulation of dietary trans-fats may unwittingly occur through the ingestion of several food sources containing 0.49g of “hidden” trans-fats. Interesterified fats have been present in commercially prepared foods since the 1950s. Like transfats, they are chemically altered oils, artificially manufactured through fractionation, hydrogenation and inter-ester-ification. While this fat may be trans free, it can contain chemical residues, hexanes and a variety of waste products that are harmful to cellular structures. Through inter-ester-ification a vegetable oil is combined with stearic acid, and on this basis food labelling is not required to indicate “interestified”, but may in accordance with FDA licensing use the term “high stearate” on a label. Food products which are labelled as containing a vegetable oil are likely to contain interesterified fats or transfats. The elimination from the diet of artificially prepared foods, vegetable oils and many alternative spreads to replace butter, should be encouraged by health professionals in efforts to redirect consumers back to natural and health giving foods, such as butter, whole milk, eggs, animal protein and tropical oils. Many popular foods and beverages contain unhealthy levels of high-fructose corn syrup (HFCS), which carries serious and unsuspected health risks. Compared to table sugar, which comprises sucrose (50%) and fructose (50%), HFCS contains 80% fructose and 20% glucose, and despite having similar amounts of calories to table sugar, its metabolic effects are different. Fructose results in increased triglyceride synthesis and fat storage in the liver because of its rapid rate of metabolism, compared to glucose which can be stored and utilised as energy. In addition to the high fructose intake from several processed foods, added consumption may occur with excessive fruit and vegetable intake, and with the great emphasis placed on these food groups in the dietary guidelines, at the expense of dietary fats, an unsuspectingly high level of fructose may occur. In the light of these findings policies which promote carbohydrate intake at the expense of saturated fats should be reviewed as a matter of urgency in the interest of public health. Caloric restriction has repeatedly demonstrated retardation of the ageing process and a marked reduction of risk for chronic disease. Of note is the observation that while they lost fat weight, they did not lose muscle mass and sustained brain volume and cognitive and motor function. The assertion that high-fat diets promote weight gain and adverse health outcomes is false, and should be assessed by evidence-based principles. Accordingly, the benefits of conventional diets, which promote high carbohydrates and restrict fats, should be tested by these same principles. The AHA officially recommends a daily intake of 55% carbohydrate energy per day, which may amount to 75% if recommendations are followed. Such high levels of carbohydrate intake are likely to advance rather than retard the diabetic process. Carbohydrate restricted diets have been widely tested to evaluate their effects on weight loss and long term health benefits. In a RCT by Samaha et al comparing the outcome of a low-carb diet (1630 kcal/day) to a low fat diet (1576 kcal/day) the low carb group lost 5.8 kg compared to the low fat group ( 1.6 kg ) which was sustained at 6 months, with a triglyceride reduction of 20% compared to 4% in the low fat group. This trial showed that calorie content is not as predictive for weight loss as is carbohydrate restriction. A low carbohydrate, ketogenic diet improved glycaemic control in obese type 2 diabetic patients allowing many to reduce or eliminate their medication. These findings correlate with those from earlier investigations into the effects of carbohydrate restricted diets on diabetes and the metabolic syndrome. In a high protein (30%) – low carbohydrate (40%) comparative study with low protein ( 15%) – high carbohydrate (55%) 58 obese subjects with hyperinsulinaemia experienced greater benefit, again raising questions about the health benefits of the conventional 55% carbohydrate recommendations. Saturated fats do not promote weight gain or obesity as they are readily converted into energy for physiological requirements. Dietary carbohydrates, however, are transferred into triglycerides and stored in adipocytes as fat under the enzymatic actions of glycerol-3-phosphate dehydrogenase. These adipocytes (fat cells) regulate their size and number by secreting command signals such as leptin, adinopectin and glycerol-3-phosphate dehydrogenase. Brown fat cells, by contrast to the white fat apidocytes, regulate the physiological requirements of energy by burning calories, and may thus reduce the amount of white fat in the body. The white fat cells serve as storage cells and may increase in size to accommodate excess dietary triglyceride, but may also increase in number, through the mutation of reserve preadipocytes, under the stimulation of insulin. It is important, therefore, to restrict the potential for white fat cells to increase in number during childhood, since they will remain present for life. Unwanted weight gain may occur through an increase in calorie consumption, or through a decrease in the command signal network, which is a likely cause for age related weight gain. If the major share of calories derive from an abundance of carbohydrate ingestion, as recommended in conventional food plans, a greater liklihood exists for weight gain and its related problems. Novel ways of interrupting the command signal network, or of reducing calories, may include any of the following . d) Alpha – glucosidase inhibition with Acarbose. Conventional dietary recommendations have failed to halt or reverse a trend that continues to impact negatively on human health, while simultaneously stretching health and financial resources beyond redemption. It is timely to review the content of traditional food guidelines and to align them with the conclusive evidence of critical science, and to offer dietary information that serves, not political agendas, but the best health interests of the nation. 1. The Oiling of America – Gary Taubes. 2. J Am Coll Cardiol, 2004, March 4. 98. J. Am Coll of Cardiology, 2004 March 4. Interesting ….. can you boil your findings down to some recommendations? What should be eaten, and how much?